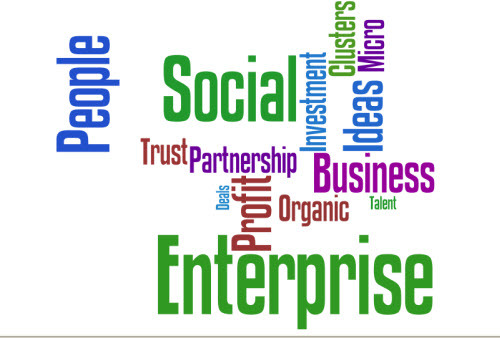 How leading social entrepreneurs mobilize resources! Each of these strategies had variations and were backed by examples of organizations who had used them success fully. For example, in case of selling products or services, the common theme was that the products were made by beneficiaries and sold to them again. The report also said that increasingly, more social entrepreneurs are trying to export their goods to access higher prices in Europe or the USA. IRUPANA from Bolivia, APAEB from Brazil and many others fall in this category. Microfinance institutions are a good example and kind of define these kinds of organizations who purposely target low-income customers and adapt to suit the needs of these people. Aravind Eye Care in India and Waste Concern from Dhaka are other good cases. SEWA or Self-Employed Women’s Association is one of the most successful organizations working for the development of women and SEWA raises funds by asking a small fee from all its members in return for offering services ranging from health-care to microcredit and insurance. Raising in-kind resources has become a popular means for mobilizing resources among social entrepreneurs. Clothing drives are a well-known form of in-kind donations and two organizations in New York, Dress for Success and Career Gear, collect suits and business attire to outfit members of disadvantaged population groups going for job interviews. Same is the case with GOONJ, an Indian non-profit, mobilizing clothes in large amount to thousands of people. Part-time assistance, volunteering and pro-bono support also fall in this category. Childline India Foundation (CIF) runs a free telephone service for children in the slums and streets of Bombay and has proven to be very successful as they managed a good partnership with the government. CFI convinced the government that it was providing a service to deprived children that the government had promised but failed to deliver. By funding CFI, the government could deliver of its promise. Partnerships with businesses and local communities can also create a huge difference in helping open new doors, getting professional support and scaling up. Fund-raising events including galas, concerts, marathons and tournaments have also been there. “Futbol de las Estrellas” (Soccer of the Stars) is a popular match of movie stars, singers and soccer stars in Argentina started by Victoria Shocron to support a cultural center for young people with disabilities. The key success factor is to catch the target audience in their familiar environment and without asking them to give up free time. The quality of entrepreneurship – both social and business – is manifest in their relentless desire to expand their approach to other beneficiaries and settings. Expansions into new areas or even countries typically require capital and human resources, which are chronically in shortage. But social entrepreneurs have found models for expanding and leveraging their ideas without necessarily investing large sums. As budding entrepreneurs set out to make business plans and create revenue generation streams, these are interesting models to study and learn from. Did you hear ‘Sustainable Development’? I know that we have all heard this phrase a number of times now. So what does ‘Sustainable Development’ mean? Is it about being green and improving energy efficiency or caring out your employees and the community? Does it mean planting trees or being responsible about the products one sells? 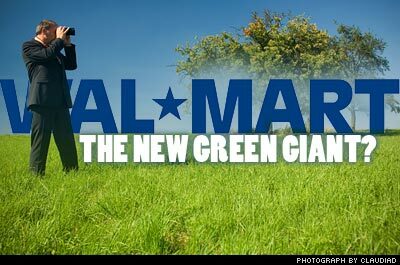 Be it Exxon Mobil or WalMart, the two global giants, every company is thinking about sustainability today. It’s a race and nobody wants to be left behind. And yes, these organizations do think about ROI (Return on Investment) before they plunge into incorporating sustainable practices. Well, some of it is just talk but a lot of it is real substance. The Global Reporting Initiative (GRI) is a network-based organization that has pioneered the development of the world’s most widely used sustainability reporting framework and is committed to its continuous improvement and application worldwide. GRI is a non-profit based out of Amsterdam and has about 80 indicators and several sector supplements as metrics for sustainability reporting and these metrics cover economic, environmental and social indicators. GRI is being used by thousands of companies worldwide for reporting. As Acara Challenge team members and future social entrepreneurs, I think it is really important for us to ensure that we look at every aspect of our venture’s plan and see to it that all the practices of our venture are sustainable and do not harm the environment or communities, we work with, in any way. Instead, we should focus on how we can create value for every stakeholder of the venture.